"L" units are very popular. 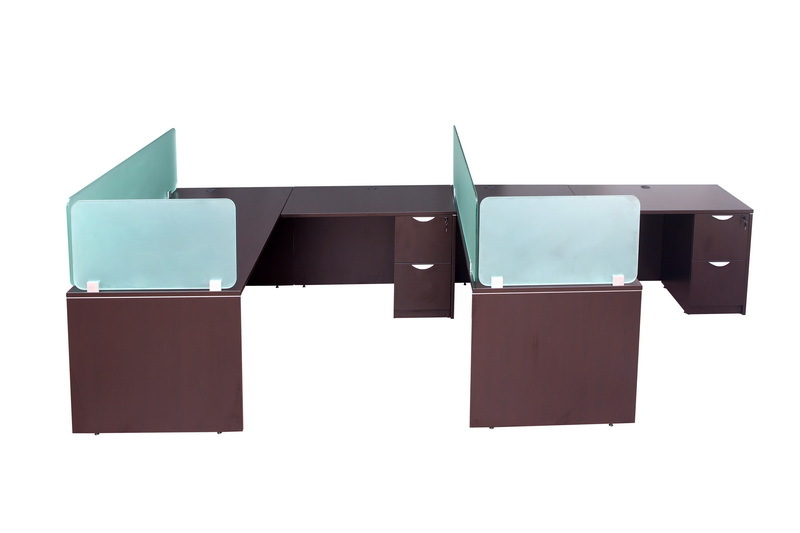 Main Desks and Returns are available in multiple sizes. 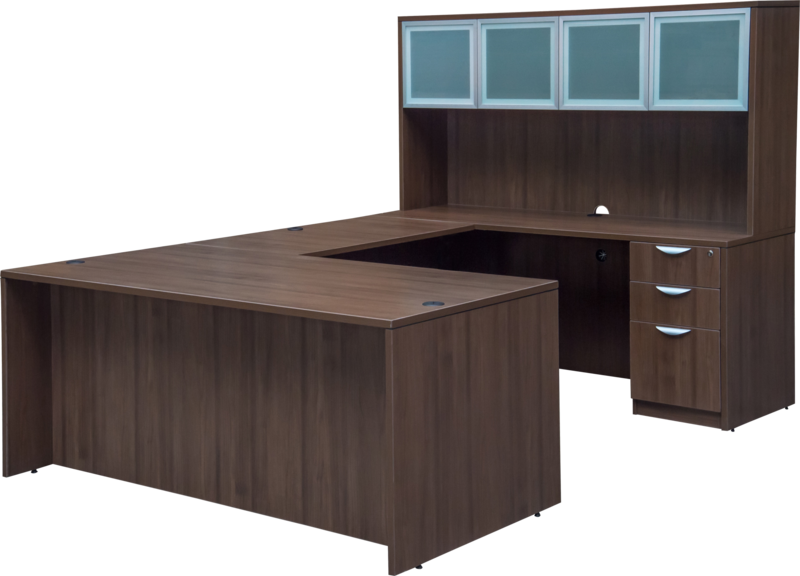 Shown above in Modern Walnut. 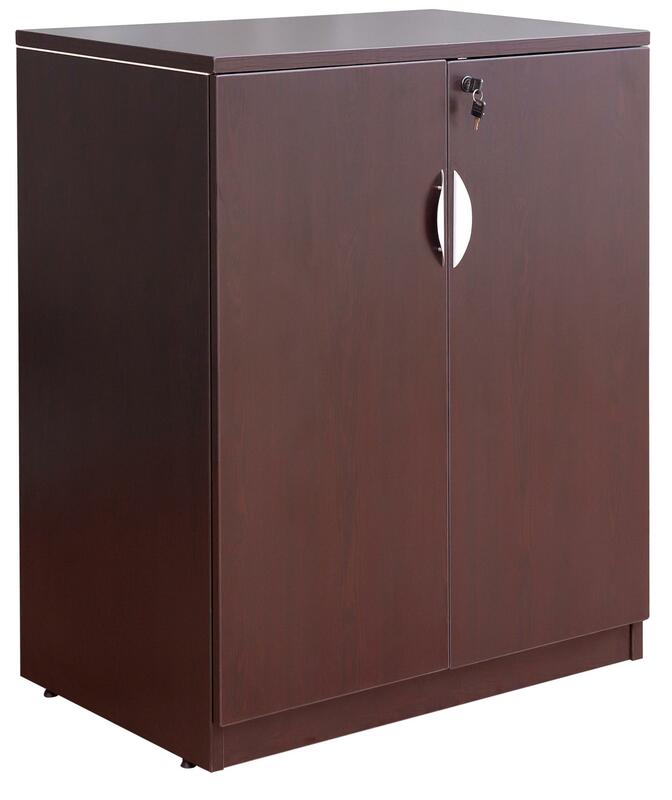 Storage Cabinets and Lateral Files are offered in multiple sizes. 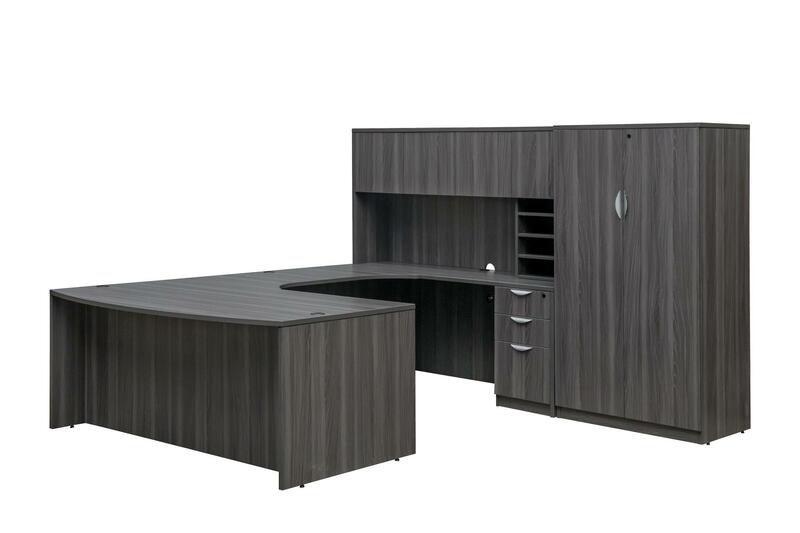 Shown in Dark Walnut. 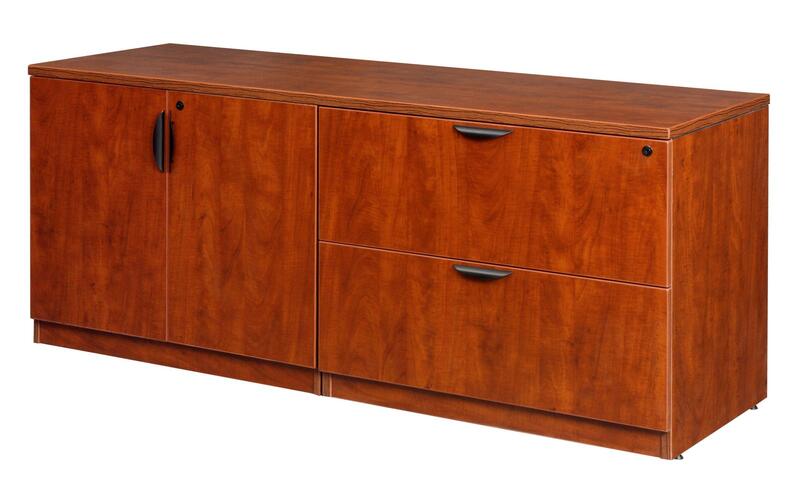 Storage Credenza's can be configured as storage, filing or both. Shown in Cherry. 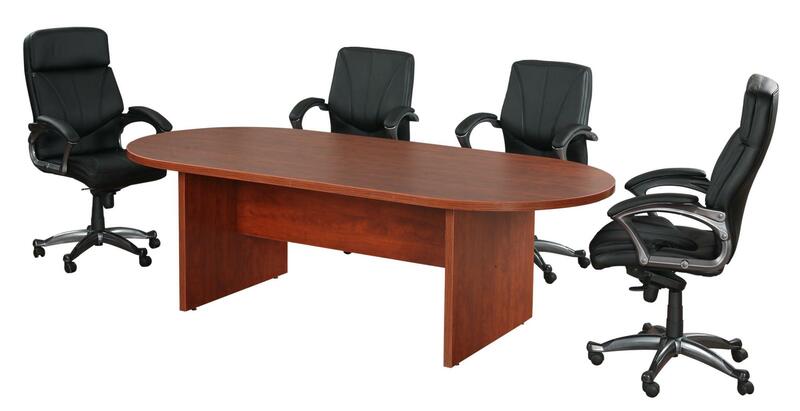 Conference Tables - Round and Racetrack - come in 6 sizes. Shown above in Cherry. 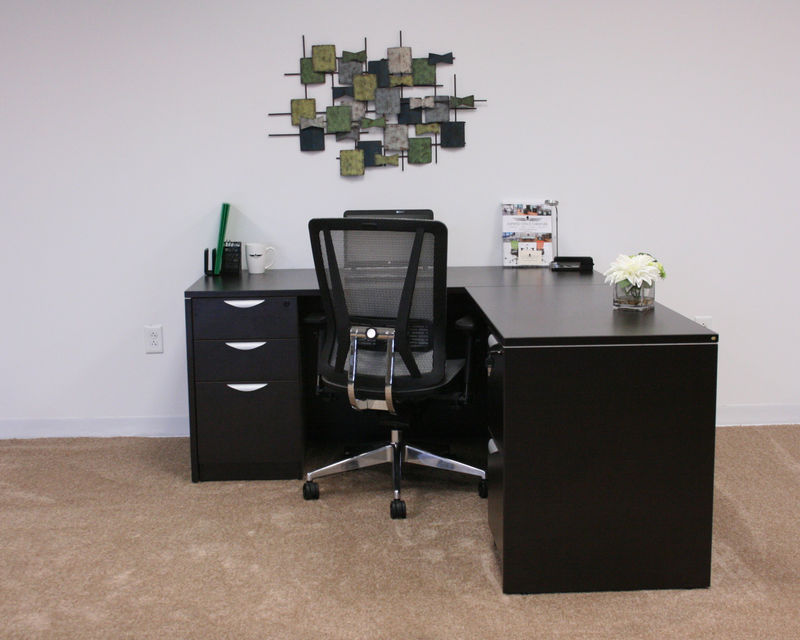 Express Laminate is a modular product stocked in many sizes and configurations to fit your specific needs. 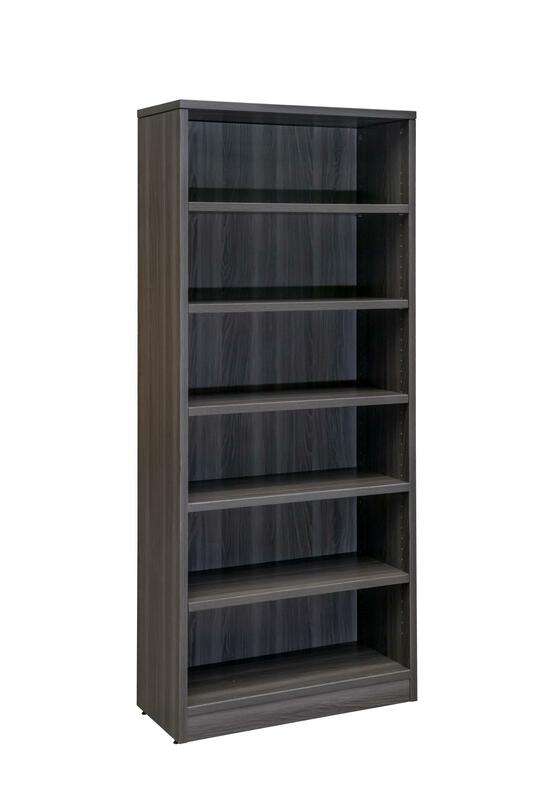 "EL" is stocked in Dark Walnut, Modern, Walnut, Cherry, and Mahogany. 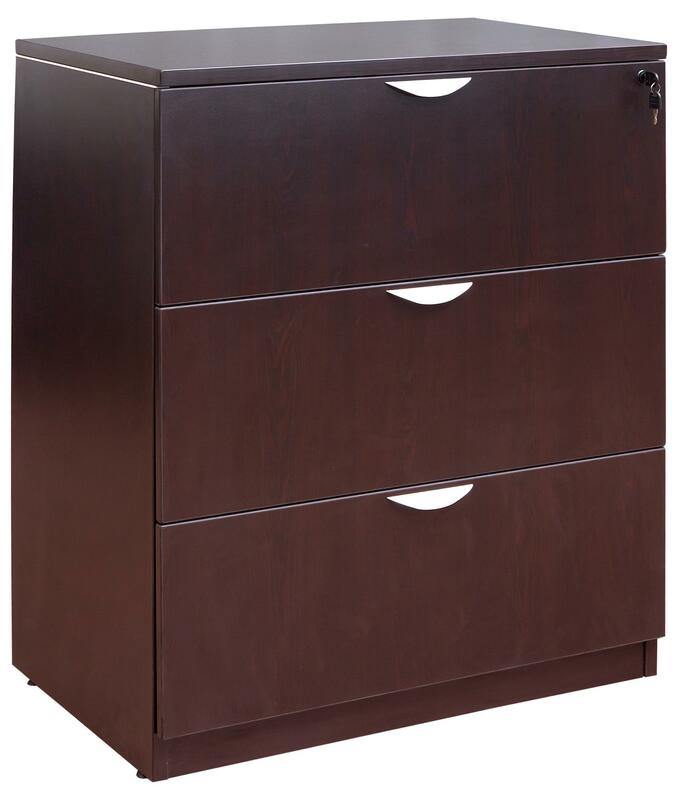 Every drawer includes ball-bearing, full suspensions. All edges include a 3-Mil vinyl for maximum durability. 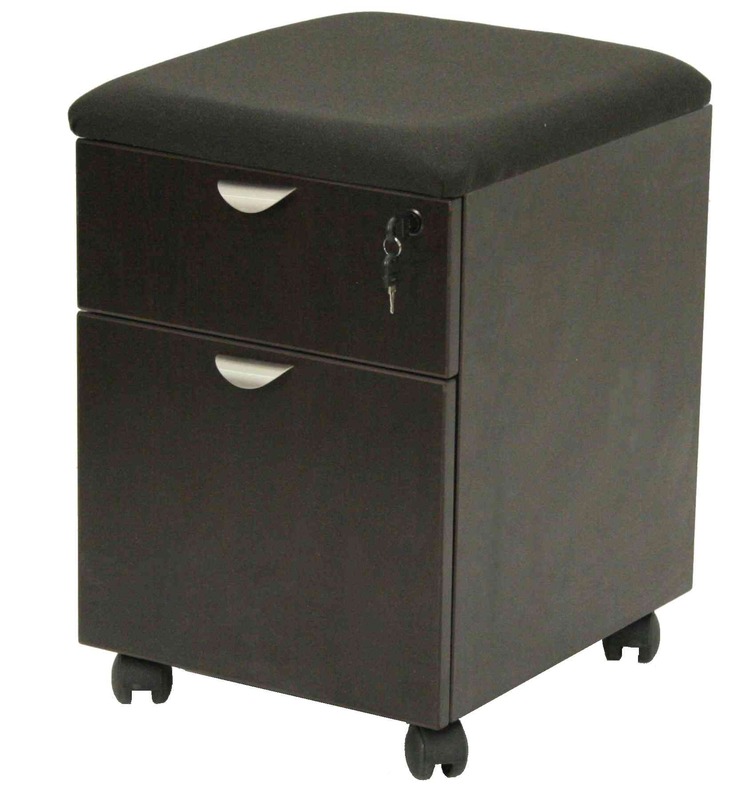 The product is KD and requires assembly using steel pins, cam locks, wood dowels, and steel L-brackets. 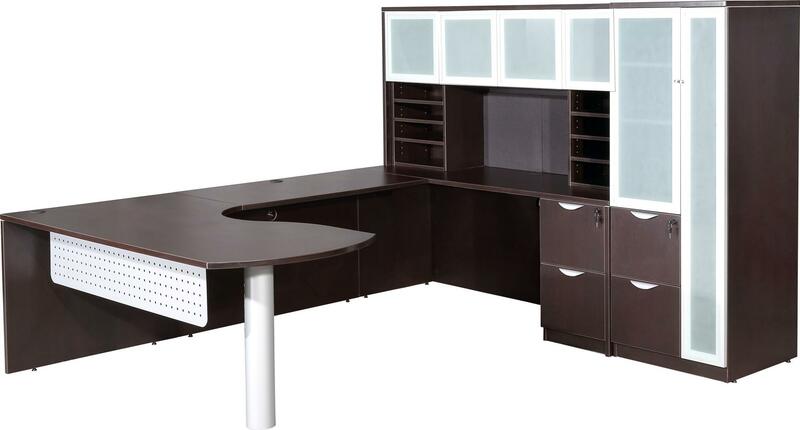 Once assembled, Express Laminate desks and storage are very strong and sturdy. 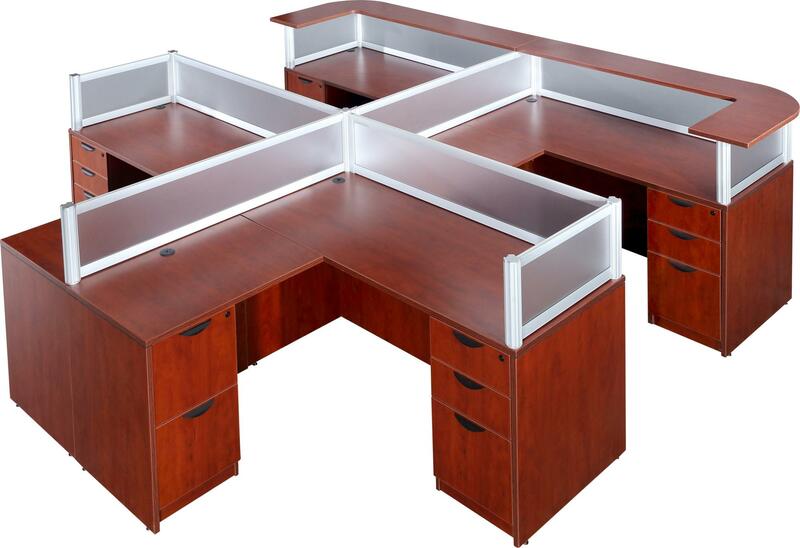 EL Classic with Perimeter Divider Panels. Shown in Cherry.